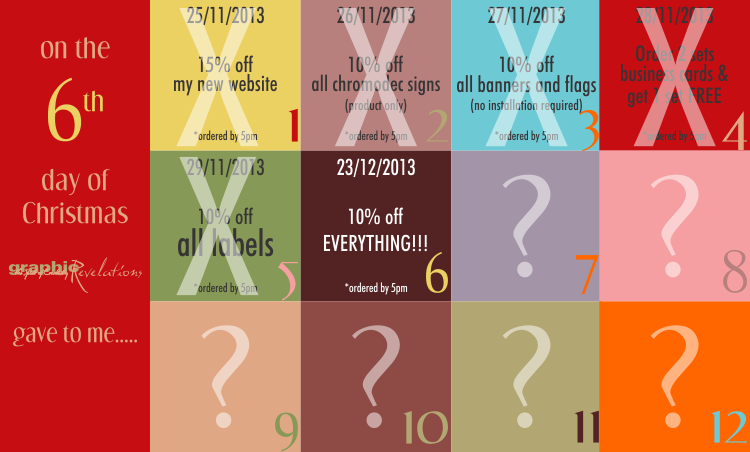 On the 6th day of Christmas Graphic Revelations gave to me….. THE SMALL PRINT: You must redeem this gift by 5AM TOMOROW to qualify. This gift will not be repeated. You cannot use this gift in conjunction with another promotion. Applies to new orders only. This will look as good as anyone could print your wonderful artwork. You will think it's a photo.